Wind it until it stops. Don’t make this any more complicated than it needs to be. 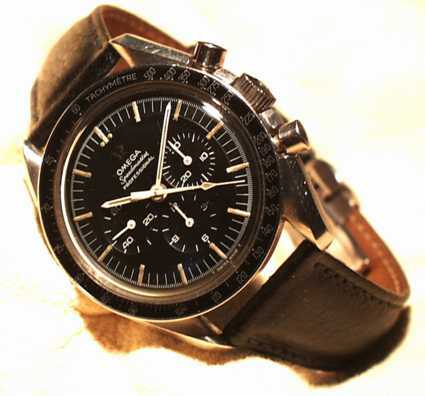 So how exactly ought one wind one’s Omega Speedmaster? Or any manual wind watch for that matter? This question occurs with astonishing and cyclically recurring frequency in internet watch forums. And this is even despite that most every forum offers a search function that could produce dozens of relevant threads that would dispatch the question neatly before it were even raised (again). The recurrence of questions like this is among the reasons forums ceased to be as much fun and I’ve mostly retreated from watch fora, especially after once seeing threads posing this same inane question with less than three threads separating them. You can only re-read the same answers from the same folks so many times, especially when the answers are so simplistically obvious. I can understand the trepidation that accompanies newfound ownership of that first mechanical watch, especially one that with a history as storied as the Omega Speedmaster Professional and pricing that involves a not insignificant cash outlay. The Speedmaster’s renown after all is considerable, and comes as no surprise that it is a frequent first foray into mechanical watches for many new owners. But to experienced collectors and those who grew up with mechanical watches, it’s almost like asking for advice for exacting methodologies for how to best screw in a lightbulb. Properly. Without damaging it, impeding its performance, decreasing its useful lifespan or resale value, or disturbing its chi. It’s easy to forget that despite the disparate price points winding a Speedmaster is really about as simple as screwing in that lightbulb, and to even ask questions about it threatens to uncessarily overcomplicate the matter. 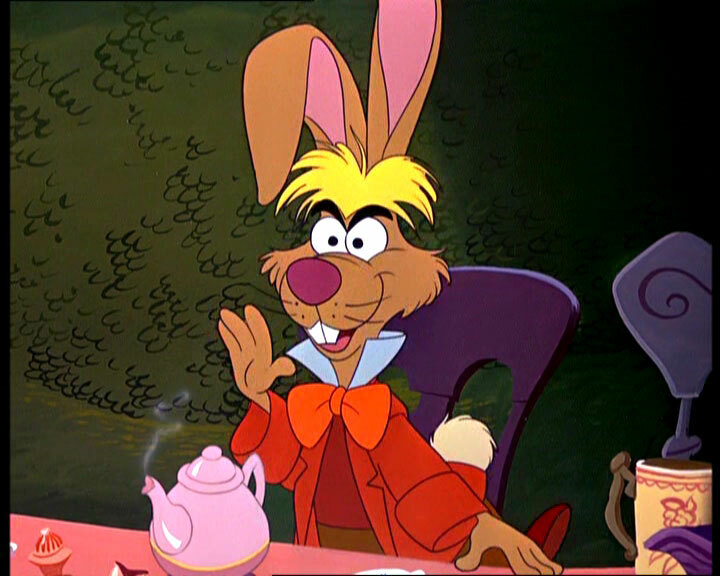 The March Hare in Disney's "Alice in Wonderland"
“The White Rabbit put on his spectacles. `Where shall I begin, please your Majesty?’ he asked. The March Hare reads before the King of Hearts in "Alice's Adventures in Wonderland"
It’s really no more complex than that. Sometimes even a simplistic approach is entirely sufficient. So here are the definitive instructions: wind until it stops. When it stops letting you, stop winding. Do not continue winding after this point. That is all. If you can remember this, your watch will be absolutely fine and continue performing exactly as designed. It’s no more complex than that. Really, that’s pretty much all there is to it. But of course, as is our nature as collectors we’re often wont to extensively research even the barest minutæ about our watches, especially when we suspect (rightly or wrongly) that naïve ignorance of some arcane bit of watchmaking esoteria might lead us to inadvertently damage our precious little baubles and attract the scorn and derision of other collectors for our recklessness. We’re unashamed to discuss even the most trivial matters in excruciating detail after paranoia sets in and a “better safe than sorry” mindset takes root and all kinds of esoteric little conditions and questions start coming to mind. Q: How many turns should I wind it? A: Wind it until it stops. As many turns as it takes. When the crown stops, cease winding. Congratulations! You’re now done winding your watch! The “number of turns” discussions (which are themselves only slightly less unnecessary) relate more to automatic or self-winding movements, which use a slipping bridle to prevent the mainspring from becoming overly tightened by the continued motion of the wearer’s arm. In the case of automatics only, for a watch that has run down completely 15 turns or so are typically recommended for a “jump start” after which the motion of the arm should bring it to a full wind, with about 40 or so turns typically required to bring a movement from a dead start to a full power reserve. With respect to manually wound watches however the question is moot: just wind it until it f@*%ing stops. Then stop winding. Q: Can I over-wind the watch? A: No, not if you stop winding when the crown stops turning and use a reasonable amount of force when winding (i.e., don’t crank on the torque and you’ll be fine). And though the term “over-wound” persists in common usage it describes what is actually a non-existent condition. Most watches casually described as “over-wound” are in actuality watches with some other mechanical fault that stopped them from running, but a desperate owner has gone on to wind it fully in a misguided and unsuccessful attempt to somehow coax it into running again until it became fully wound. In fact, because the term “over-wound” is so common it’s still sometimes used out of convention even by those who know better for the sake of expediency. But overall, so long as you don’t get out the pliers and continue cranking on the crown after it stops, you really can’t over-wind a watch that is otherwise in a good state of repair. Q: In which direction should I wind? A: Turn the crown clockwise. Until it stops. Q: What if I wind in the reverse (counter-clockwise) direction? I hear an unsettling clicking noise when I do this. Will this harm the watch or cause unnecessary wear & tear? A: Winding in the “wrong” direction really won’t do anything at all. The clicking noise is s just the sound of ratcheting over the crown wheel in an unproductive but mostly unharmful manner. In fact, depending on who you ask a little bit of this might even be a good idea — see below. Q: Should I turn the crown back and forth as I wind, or release and take a new grip with each forward (clockwise) turn? A: At your pleasure, either is fine. Walt Odets wrote that doing so can introduce a minor amount of wear but a complete rearward turn at the end can help keep lubricants distributed. But even Odets admits there’s no consensus regarding the necessity of doing so. If anything, this is a fairly trivial consideration in the ongoing performance of a watch over the long term. I wind my watches in the back-and-forth fashion for the sake of convenience as I find it’s faster and easier. Q: Is it important to wind at the same point each day for optimal accuracy? A: Not really. Strictly speaking accuracy performance is usually most consistent at or near full wind when the torque transmitted by the mainspring to the going train is most consistent. However, the watch is designed to perform acceptably over most of the state of wind of the mainspring, though it can sometimes get erratic right near the end. But if anything this is usually a very minor component of observed accuracy performance when worn relative to positional, temperature, and shock variations. Q: Is it OK to “top off” the state of wind throughout the day by winding a few turns now and then? A: It won’t hurt anything, but it’s really not necessary either. See the above re:accuracy. One minor caveat: depending on who’s asked, it may not be wise to wind a watch while it is worn on the wrist. The angular and lateral stresses placed on the stem when winding in such a contorted fashion can potentially strain the stem/keyless works in unnecessary and unintended ways. Again, however, there is not really a wide consensus regarding this opinion and as long as reasonable care is exercised it’s unlikely to be enormously detrimental to the watch. Q: Is there anything to be gained by occasionally letting it wind down all the way? Will this help keep the mainspring “limber”? A: Not really. The watch won’t derive much of any direct benefit from such activity, but it could be helpful in troubleshooting if another problem is already otherwise suspected. If the watch is otherwise already behaving weirdly and the observed power reserve turns out to be substantially shorter than expected, it could indicate that it’s time for it to be off to the watchmaker for a service. Q: Is it better to stop winding before it’s actually fully wound to prevent the risk of overwinding the watch? A: Wind it until it stops. As stated above, there is basically no danger of “overwinding” a watch when reasonable care is taken. In some improperly adjusted watches, when a watch is fully wound the mainspring may actually be transmitting too much torque to the movement and cause a condition known as overbanking, in which the balance swings too far and bounces back causing a “galloping” sound instead of a consistent tick-tock heartbeat and erratic (usually very fast) timekeeping accuracy. This however is not so much evidence of any improper winding technique but evidence of a watch being out of adjustment. Rather than only partly winding the watch, a more appropriate response is to pursue adjustment/repair to properly address the problem instead of sidestepping it with a workaround like not winding all the way. Q: How can I tell if my watch is properly wound? A: Did you wind until it stopped? Is the watch now running? If the answer to both of these is in the affirmative, then yes, the watch has been properly wound. Congratulations. So hopefully this very unnecessary guide will finally clear the matter up once and for all. If you have any questions, remember this: wind until it stops, then stop winding. Don’t make it any harder than it needs to be. Ryan, I think calling this the “definitive” guide was a bit premature, especially since you missed a few important questions, like “what color should I wind until?” or “how should it smell when fully wound?”. But, it’s a good start . . .
A fully wound watch smells like Switzerland.